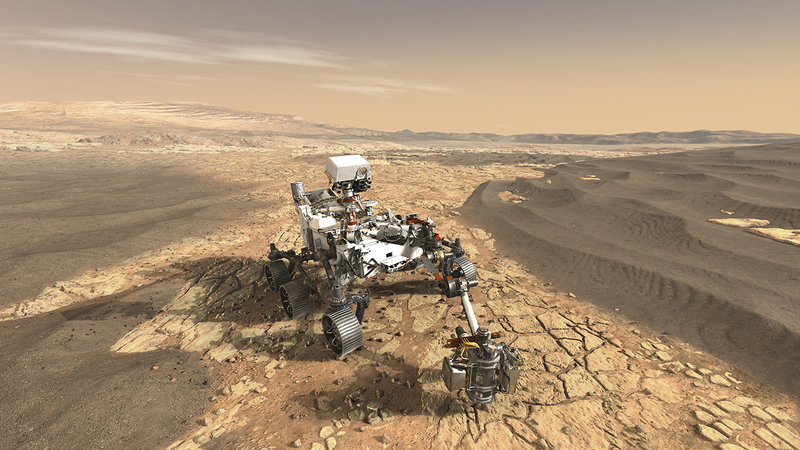 The Mars 2020 mission is part of NASA's Mars Exploration Program and it aims to gather more knowledge on Martian atmosphere and other environmental conditions. The Mars 2020 Rover will be equipped with Vaisala BAROCAP® and HUMICAP® pressure and humidity sensors. The sensors are part of instrumentation designed by the Finnish Meteorological Institute (FMI), and they will be used to gather accurate readings of pressure and humidity in the extreme environmental conditions of the Martian atmosphere. This is not the first nor the second occasion on which Vaisala technology has gone into space. Vaisala has a long history of providing sensors for space explorations, dating all the way back to the 1950s, when Vaisala converted the frequency of a radio theodolite to help track Sputnik I, the world's first artificial satellite. Since then, Vaisala has been involved in a number of fascinating missions, providing technology to help understand the universe. Vaisala's technology is utilized in space exploration due to their extreme stability, which is vital due to the extreme environmental conditions in space. Vaisala's sensors are able to withstand extreme heat and cold and are highly tolerant of shaking and vibration of the space travel. The humidity and pressure measurements are in the core of Vaisala. Vaisala's HUMICAP® sensor came on the market already at the beginning of 1970s, and BAROCAP® only some years after. Vaisala HUMICAP® and BAROCAP® sensor technologies are used in numerous well known Vaisala products, such as radiosondes, weather stations and various industrial applications. Thanks to the long-term stability and accuracy of these sensors, as well as their ability to tolerate dust, chemicals, and harsh environmental conditions, the technologies are suitable for very demanding applications, also off Earth. "Vaisala is constantly in the eye of the technological innovation and development. We invest a lot in the product development and also in basic scientific research, which is not very common in the business. The continuous development, in-house expertise, the keen interest in science and technological know-how keeps us on the top of the game", sums Åström. Exploring space fosters innovation and international collaboration and understanding the world around us. Investigating Mars is particularly important, as the planet's similarities to Earth could help us better understand the challenges we face on Earth, such as climate change. "Vaisala has an authentic interest to make observations for a better world. By exploring a similar type of planet, we can learn something from ourselves, too", Liisa Åström says, and continues: "I believe the whole mankind is involved in these space crusades with curious minds. To me, Vaisala is representing that curiousness; we are always willing to learn, develop and understand the habitat and the environment which we are part of." signs of habitable conditions on Mars in the ancient past, but also searching for signs of past microbial life itself. Vaisala's sensor technology is heading to Mars.